While laser technology was once prohibitively expensive and difficult to implement, it has recently become increasingly affordable and easy to use. As a result, more and more entrepreneurs are applying laser engraving to startups in a variety of industries. 1 How Does Laser Engraving Work? 2 Why Do Businesses Use Laser Technology? It’s common to associate laser technology with science fiction, but it’s actually an easy process to use and understand. Put simply; it works by strongly heating up the material in question. The marks made by a laser beam are incredibly durable, lasting long periods of time and resisting damage. In most instances, laser marking is no more complicated than printing. You can use many common programs, such as Photoshop, Illustrator, and AutoCAD, to create your design, and then send it to the machine with a printer driver. Engraving can be started with the push of a bottom, but there are more advanced settings available if necessary. Why Do Businesses Use Laser Technology? Although laser engraving offers a variety of advantages over more traditional alternatives, most people aren’t familiar with the technology and don’t understand its benefits. These are some of the main reasons that so many entrepreneurs are turning to lasers for their engraving needs. Older versions of laser marking machines were significantly larger and more expensive in addition to having a steep learning curve. By contrast, those on the market today are relatively small, enabling you to set them up in a small workshop or even a home office. They’re also affordable for many new small businesses. Since laser engraving machines are compatible with many common computer applications, it’s easy to learn the process of creating your design and having it engraved. All of these factors have significantly lowered the barriers to entry associated with the technology and made it possible for more people to invest in a laser engraving machine. Compared to conventional forms of carving and engraving, laser machines are compatible with a wide range of materials. Whether you want to mark wood, plastic, metal, or even something more obscure, a laser engraving machine will be able to get the job done precisely and reliably. Laser engraving also works without making contact with the object itself, and laser beams can work on a very small scale. In fact, many industries use lasers to mark and identify parts due to their unique precision and ability to work on tiny products. This opens up new possibilities for entrepreneurs looking to invest in an engraving machine. Because lasers are so versatile, the only thing limiting the possibilities with a marking machine is your imagination. Thousands of people have used laser engravers to create successful businesses of all kinds. Whether you’re interested in creating jewelry, giftware, signage, or something else, your creativity can be applied using a laser marking machine. While ink-based forms of engraving involve harmful and nonrenewable resources, laser marking is an environmentally conscious process. You can even mark directly on products like food and medicine, reducing the need for extra packaging and labels. As consumers worldwide become more conscious of the need for concern over environmental and ecological issues, it’s important for businesses to take more responsibility for the ongoing fight to reduce our environmental footprint. Using laser technology will have a positive impact and communicate to your audience that you take these issues seriously. Laser engraving is a rapidly growing field with an incredible range of applications in almost every industry. 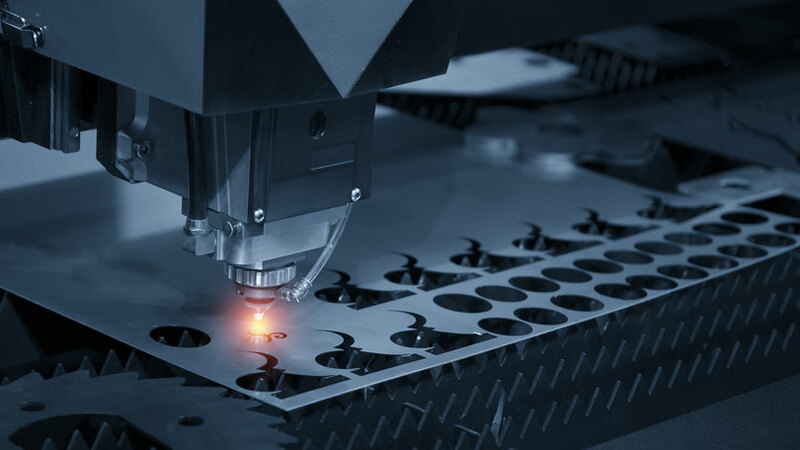 Whether you’re working for a new startup or an established company, laser technology offers many benefits over its competitors, both financially and environmentally. Since it can be implemented quickly and easily with very little setup time, there’s no reason to wait—simply add it to your existing business practices. Adopting laser technology will have a positive impact on many facets of your business.